This thought-provoking introduction to a Reformed understanding of culture is a helpful cure to the typical Evangelical fare. Bringing the issues home to the average Christian, the author begins a brief history of the rise of the arts, science and culture through the power of the Reformation. Then he explains sphere sovereignty and the Lord’s control over all of life as the foundation of any culture. The remainder of the book explains the relationship of the Christian—individually and corporately—to intellectual endeavors, the arts, the sciences and even leisure time. 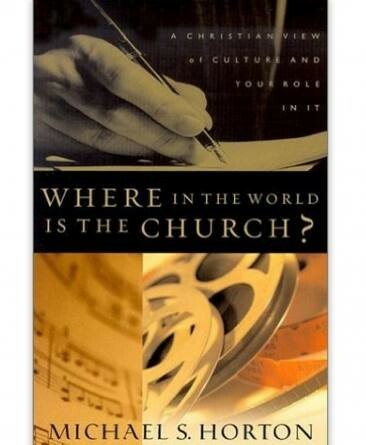 “become worldly when ‘Phil Donahue’ pep talks replace sermons, worship is transformed for market-driven consumerism and therapeutic or political categories begin to replace the solid emphasis in our churches” (p.179). ← The face of today’s Christian? Isn’t Horton a radical two kingdom advocate? He is two-kingdom, but I am not sure if he is radical two-kingdom. I read the book a decade or so ago and nothing struck me as odd at the time. One of the strengths of today’s two-kingdom is the reminder of the importance of the church and gospel.